If you have ever gone into a Starbucks, you know that Starbucks sells local mugs in specific locations. It’s one of my hobbies to collect Starbucks mugs when I go somewhere, and so far I’ve managed to get ones from Kyoto, Yokohama, Chiba, Sapporo, Kobe (Japan), Houston, Chicago and San Antonio (the USA). 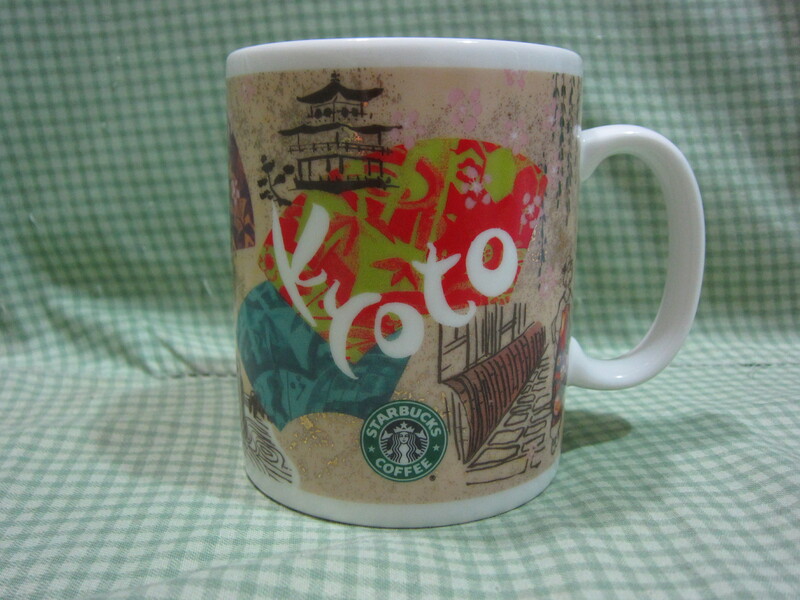 If you happen to have the same hobby or are planning to visit Starbucks in Kyoto, it might be fun to get a local Kyoto mug, which will remind you of places you have visited in Kyoto whenever you drink a cup of coffee from it. I bought this cup two years ago, but as far as I know the design hasn’t changed yet. They’ve got Kinkakuji Temple, Maiko and a traditional garden. If you like, you can choose a tumbler with the same design.